When you engage a Celebrant who is a member of the IoCF, you can be sure you will be working with someone who has the training, professionalism and empathy needed to ensure the funeral ceremony you are arranging will be exactly as you wish it to be. 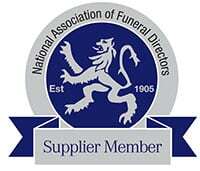 Why should I use an IoCF member as the Celebrant for the funeral I am arranging? We are confident that with an IoCF member, you are getting the best possible professional service. *We welcome your feedback at any time. Please use the button at the top of page to provide comments on your chosen celebrant.